Steven Hupp was born and raised in Youngstown, Ohio. Mr. Hupp is an Equity Shareholder and one of the founders of the firm. He has been an attorney since 1988. Mr. Hupp began trying medical malpractice cases in 1990. Over the past 28 years, Mr. Hupp has enjoyed tremendous success in the courtroom. He has been first chair counsel in over one hundred jury trials and he has won all but eight of these trials. On two occasions, Mr. Hupp won a defense verdict for his clients after admitting that they breached the standard of care. Mr. Hupp is routinely engaged as trial counsel in cases involving catastrophic injuries and wrongful death on behalf of physicians and hospitals throughout the state of Ohio. Mr. Hupp has obtained defense verdicts in difficult cases dealing with diverse areas of medicine, such as cardiology, emergency medicine, general surgery, colorectal surgery, internal medicine and narcotic overdoses. Mr. Hupp has a special interest in cases involving strokes, heart attacks, pulmonary emboli, breast cancer and colon cancer. On two occasions, Mr. Hupp won a defense verdict for his clients after admitting that they breached the standard of care. Mr. Hupp currently spends one-third of his time representing long-term care clients, including rehabilitation hospitals, nursing homes and assisted living facilities. Mr. Hupp has taken two nursing home negligence cases to jury trial and prevailed on both. After law school, Mr. Hupp worked as a law clerk to the Honorable Blanche Krupansky in the Eighth District Court of Appeals. Mr. Hupp has practiced as appellate counsel in the United States Supreme Court, the Ohio Supreme Court, the Federal Sixth Circuit Court of Appeals and several Ohio District Courts. Mr. Hupp has enjoyed an AV Preeminent rating (the highest possible) from Martindale-Hubbell since age 34. 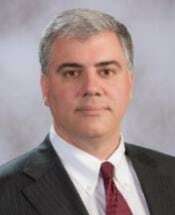 He has been named an Ohio Super lawyer for the past eleven years (2008 through 2018).